A 20-year-old man has appeared in court in connection with a high-speed police chase in Peebles resulting in a multiple-vehicle collision. Declan Russell is charged with dangerous driving, driving while disqualified and having no motor insurance following that pursuit on Wednesday evening. He made no plea during a private hearing at Selkirk Sheriff Court, and the case was continued for further examination. Russell, of Edinburgh, was remanded in custody and will appear in court again next week. 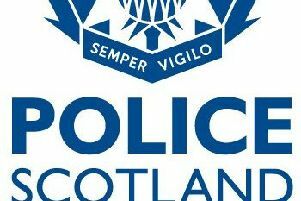 Five vehicles were damaged during the incident after officers responded to calls about an alleged housebreaking in Innerleithen just before 6pm. Attempts to flag down a blue BMW 1 Series car led to a high-speed chase along Edinburgh Road in Peebles. Four other vehicles besides the BMW were badly damaged in the resulting crash. The A703 between Leadburn and its junction with the A72 in Peebles was closed for several hours on Wednesday evening following the crash that ended the police’s pursuit of Russell.